Today, the U.S. Senate easily approved a House-amended version of S. 192, the Older Americans Act Reauthorization Act of 2015, expressing Congress’s strong support for the vital home and community-based services that the Older Americans Act (OAA) authorizes and funds in communities across the nation. This action means that the bill has passed both chambers and will be sent soon to the President for his signature. ​We are delighted that this vital legislation is headed to the President’s desk. Eleven million older adults and caregivers rely upon local OAA-funded programs and services to stay healthy, independent and aging in the community. n4a’s members, the 622 Area Agencies on Aging and 256 Title VI (of the Act) Native American aging programs, work on the front lines of aging every day, providing these critical OAA services and supports. The primary goal of the Older Americans Act (OAA) is to support older adults living independently in their homes and communities for as long as possible, and this reauthorization ensures that this critical, cost-effective work will continue with Congress’s support for another three years. The OAA provides essential services every year to millions of older adults, including information and referral assistance, in-home supports, nutrition programs, transportation, caregiver support, evidence-based health and wellness programs, job training, legal services and protection from abuse and financial exploitation. 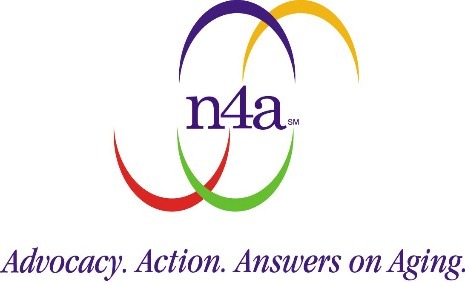 n4a applauds the Senate and House approval of this bipartisan measure, designed to modestly update the way the OAA achieves its mission of helping older adults age with dignity, independence and health in their homes and communities. We now look forward to working with Congress to ensure that the OAA receives adequate funding to implement these critical programs and services through the annual appropriations process. With escalating community need and a rapidly growing aging population, increased funding is essential.